As a provider of emergency food, we are prepared to distribute disaster relief supplies across central & eastern North Carolina. As a member of the network of Feeding America food banks, we are also prepared to help our neighboring states when disaster strikes in their region. When record amounts of rainfall, severe storms, and flooding swept across South Carolina earlier this month, we worked with Feeding America to help our friends at Harvest Hope Food Bank in Columbia, South Carolina. When it was safe to do so, our Volunteer Services Manager, Dave Goodrich, traveled to Columbia and worked with Harvest Hope and the local Emergency Operations Center (EOC) for four days. Dave helped accept donations and answer phone calls at the EOC, and set up volunteer projects at the food bank, giving Harvest Hope staff a brief reprieve and time to attend to their own families and homes. 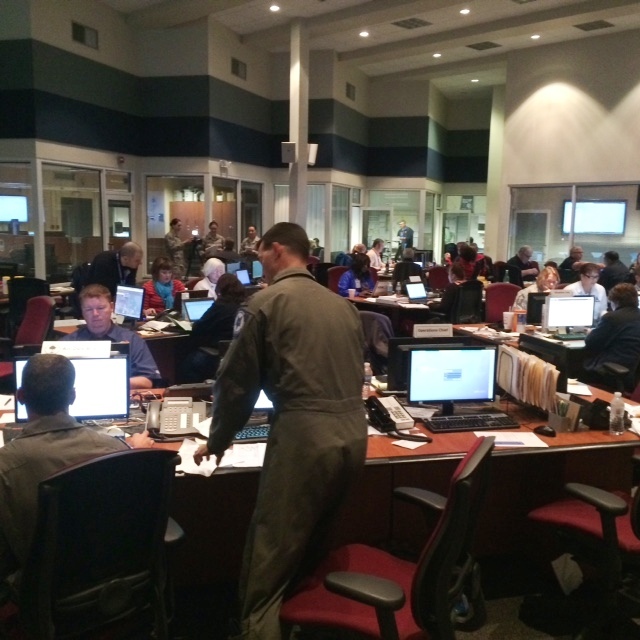 The Emergency Operations Center in Columbia, South Carolina. When Dave arrived the room buzzed with different teams working together such as the National Guard, FEMA, the local fire department, and local community organizations. He said it was overwhelming at first, but quickly learned the ropes and started to help field phone calls. Dave poses with some super volunteers at Harvest Hope Food Bank. 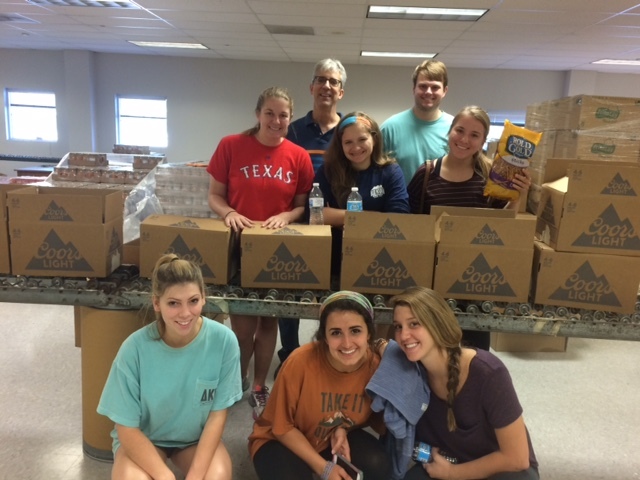 They helped put together disaster relief boxes which provided between 5 and 10 meals to people affected by the flooding. Today we sent a truck load of food to Harvest Hope Food Bank including boxes of cereal, crackers, granola bars, almonds, lentil chips, and water. We also sent large stacks of cardboard boxes to help organize or sort through the donations. After such severe flooding, the recovery process will undoubtedly be long for thousands of people in South Carolina. Already Harvest Hope Food Bank has provided more than one million meals since the storms hit the region just two weeks ago. In the coming weeks we will stay in touch with our neighbors and provide any assistance we can, as we know they would do for us. To watch a short video of how we provided aid to South Carolina today, check out our YouTube channel.